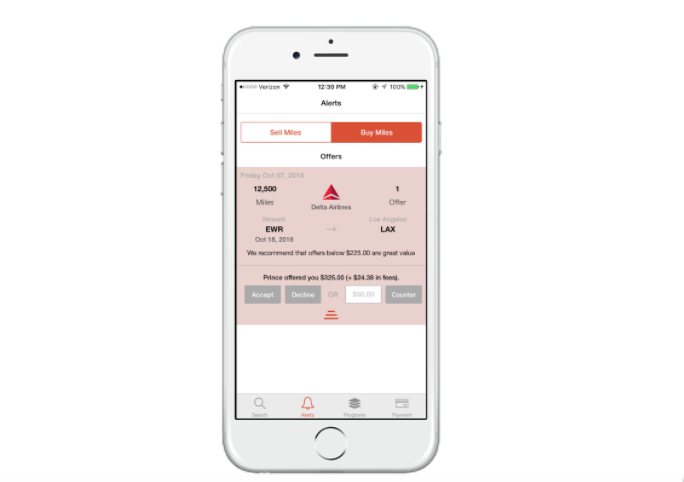 A new travel app called Par aims to connect travelers looking for a deal with frequent flyers eager to exchange their excess airline miles for cash. To use Par, bargain hunters submit a request for miles that includes a specific destination and date. These requests are sent to all registered users of the app whose extra miles could be used to purchase the flight, and the interested buyer then negotiates a price with one of the sellers. The seller books the flight, and the buyer then receives an emailed confirmation from Par, according to the app. Par charges a 7.5 percent commission fee on each transaction, and the buyer is also responsible for paying airline fees. Plans to improve the app, which is currently available for iOS, include adding multi-city options and seat upgrades.